The Madrid peace conference convened October 30, 1991, hosted by President George H. W. Bush and Soviet Premier Mikhail Gorbachev, aimed at initiating a peace settlement between Israel and the Arabs. 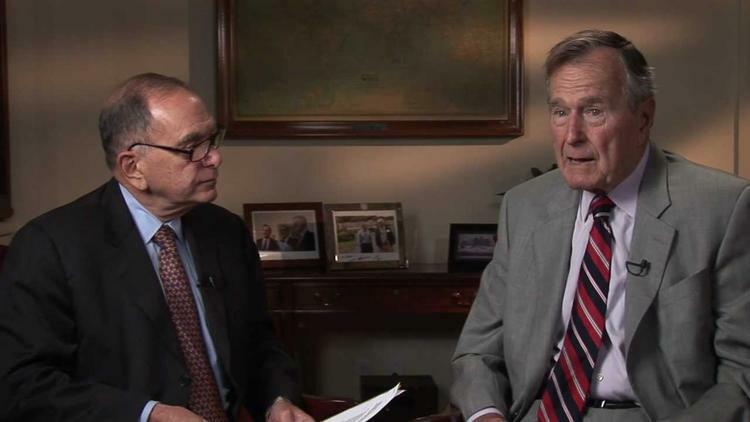 Bush senior warns that if Israel and Palestinians don’t make peace, sooner or later “weapons of mass destruction” could be deployed in the Middle East. Madrid led to the Oslo Peace accords, which Israeli leader Binyamin Netanyahu boasted of having destroyed.